The ROKA swimwear prize-fairy has rolled into town with even more prizes for the 2017 Pick 'Em Contest. swimswamsam could choose this suit! swimswamsam – congratulations, you’ve won a prize afterall. 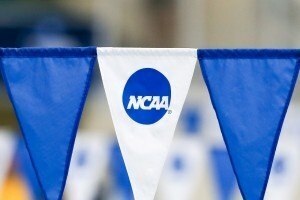 When we first announced our 2017 NCAA Women’s Pick ‘Em Contest, there were only 3 overall prizes – going to the top 3 overall finishers after 4 days of competition. 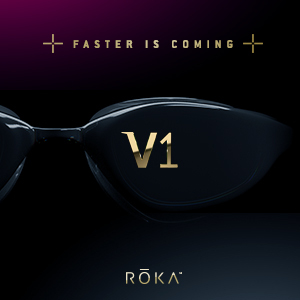 But our friends and partners at ROKA Swimwear decided that this wasn’t good enough – that Swimfans needed more. More prizes. More fun. And so they came through with around $500 retail value of additional prizes! swimswamsam, our day 1/2 winner, gets his or her choice of ROKA swimwear. 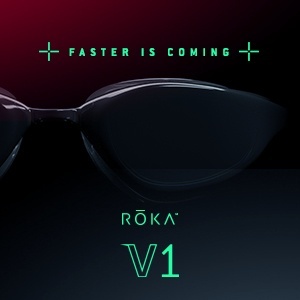 The winner of day 3 will receive ROKA cap and goggles, while day 4’s winner will get a pro-pack of ROKA swim equipment – kickboard, pull buoy, and paddles. The top overall scorer after 4 days of competition (who is prize eligible) will receive a $250 ROKA gift card to use on whatever they want in the online ROKA shop. Or swimswamsam could choose this brand new two-piece that just hit the ROKA website! The top 3 overall finishers will still receive their free year-long subscription to SwimSwamMag, and official, exclusive, winners’ t-shirts. (Shoutout to James Sutherland, who after 2 days is in second place, but because he’s a SwimSwam staffer, is playing for bragging rights). 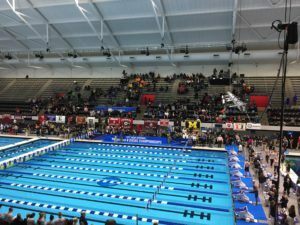 I picked Mallory Comerford to win the 200!! !